Across the country, students are buying books and familiarizing themselves with their class schedule as the fall semester kicks off at many colleges and universities. 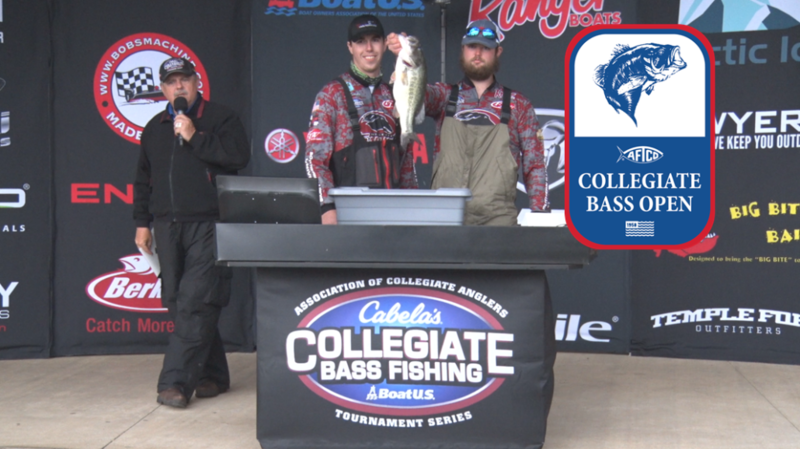 With the start of the new school year, it’s time to take a look at the first event of the 2018-19 season of the Cabela’s Collegiate Bass Fishing Series. 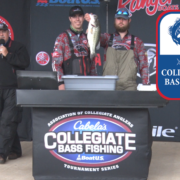 The first major event on the Association of Collegiate Anglers (ACA) 2018-19 season calendar this fall is the AFTCO Collegiate Bass Open on Lake Dardanelle. Sporting a new format compared to years past, this event is set to draw an elite field of college anglers and will have a drastic impact on the chase for Cabela’s School of the Year Presented by Abu Garcia. Lake Dardanelle is a 34,300-acre reservoir on the Arkansas River that is loaded with bass. Situated near Russellville, AR, Lake Dardanelle is widely considered to be one of the top fisheries in The Natural State. River systems typically provide very diverse fisheries with plenty of visible cover for anglers to target. Lake Dardanelle is no different. 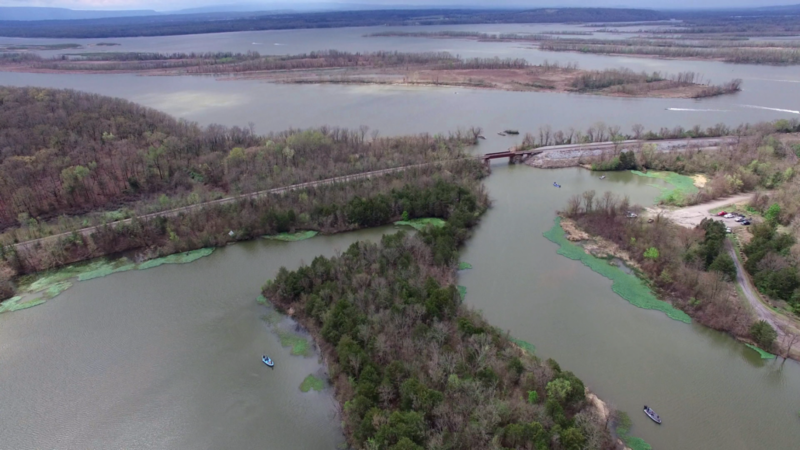 Many of the tributaries and creek arms that comprise this central Arkansas fishery are filled with flooded timer, vegetation, and rip-rap rock banks. One of the key factors that contributes to the quality of the fishing on Lake Dardanelle is the lake level. The Arkansas River fluctuates throughout the year as surrounding areas receive rainfall, and that water begins to make its way through the system. When all of this new water makes its way on down the river, the water clarity turns extremely muddy and most of the quality fishing areas become washed out. For all intensive purposes, we will preview the event with the hopes that weather will not significantly impact lake levels. As was mentioned earlier, Lake Dardanelle boasts a wide variety of cover. At various points in the year, any one of these three types of structure can have the potential to produce tournament winning bags. Flooded vegetation and lily pads will be one area these college anglers take a look at in early October. Bass will push up into this shallow cover to feed on bream and other small baitfish. These fish can be targeted with a SPRO Bronzeye Frog, or a variety of Big Bite Baits soft plastics. This type of pattern will surrender some quality bites, but can it produce five solid fish for each of the two tournament days? The next predominant cover out on Lake Dardanelle is wood cover. Flooded brush and standing timber serve as ambush points for feeding bass to track down an easy meal. Fishing these areas with different soft plastics and moving baits would be a good place to start in practice. The SPRO Little John in Citrus Shad could also be a player. These Lake Dardanelle bass will be focusing on shad as the water begins to cool off. Look for flooded timber to be a factor in determining who wins this event. Lastly, another main piece of cover present on this Arkansas River impoundment is rip-rap. Numerous roadways cross the lake creating vast stretches of rock bank for anglers to fish. A majority of these roadways cross the many small creeks and bayous throughout Lake Dardanelle. With the shad beginning their migration to the backs of the creeks for the fall, fishing these areas with SPRO crankbaits may prove to be the winning pattern. Past years have seen this event won on a variety of baits. Anglers are provided many options, in many different areas, allowing teams to space out and find what works for them. This year will also mark one of the first times in recent history that the ACA hosts an event in the fall. With a new tournament date also comes a change to the format of the event. 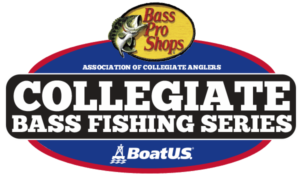 The AFTCO Collegiate Bass Open will be a standard 5 bass limit tournament. After the conclusion of day two, the boat with the highest two-day total cumulative weight will be crowned winners. Significant Cabela’s School of the Year points will be on the line as this event promises to be a premier fall fishing slugfest. For more information on this event, click HERE.